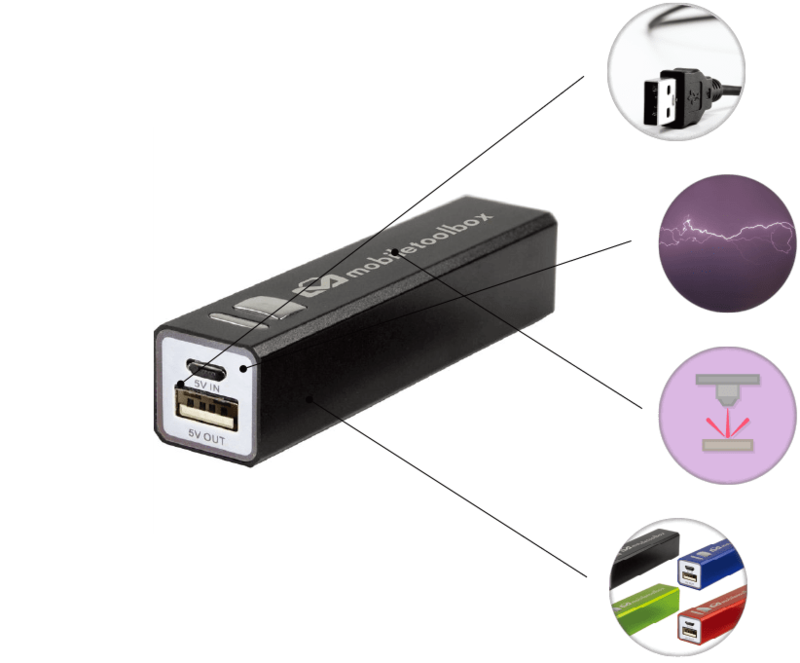 2200mAh A Grade Lithium-ion battery power bank. Requires your phone’s charging cord to charge your device. Micro USB to USB cord included to charge product. Pursuant to IATA regulations, Gold Bond Worldwide no longer ships Power Banks by methods other than Ground Service to the Continental United States and Canada. Please allow us to offer rush production to meet your important event. Charges as quickly as 5 hours. Powers mobile phones, tablets, MP3 players, GPS devices, and more!. Rechargeable - Connect to wall outlet or car charger after use to repower. Looking for a handy gift? This portable power bank can save the day when your phone dies with a re-charge. The power bank features a 2,200 mAh Li-lon battery is capable of fully charging most iPhone and Android smartphones. 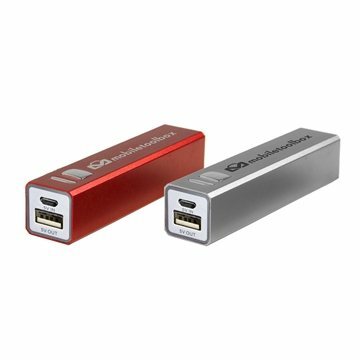 Customize the power bank with a color imprint to represent your brand or a Laser Engraving for a premium look. If you find this custom power bank cheaper elsewhere, AnyPromo won't just match the price, we'll beat it. Gold Rush Service not available on multi-color. Due to modifications to the IATA Dangerous Goods Regulations and the corresponding change to the UN Shipping Classification for power bank products, we can no longer offer transport via air. Clear printing, even though the font is very small it is still very legible. It created an awareness about my business and brought new customers in instantly! the price was incredible, the turnaround time unbelievable. A very positive buying experience. Good color options, the imprint looks excellent. People tend to really like these I'm glad we chose them for our giveaway. I've ordered at least two sets from AnyPromo, and they were helpful in getting the orders done right and on time.